Lydia will appear in season 3, episode 2 of Hulu's THE PATH, "A Beast, No More" as " Mrs. Rodrigo". Season 3 of THE PATH is scheduled to be released on Hulu on Wednesday, January 18, 2018. (L to R) Alan Ariano ("Narciso Rodrigo"), THE PATH star Frieda Pinto, and Lydia Gaston ("Mrs. Rodrigo"). (L to R) Alan Ariano ("Narciso Rodrigo"), THE PATH star Aaron Paul, and Lydia Gaston ("Mrs. Rodrigo"). Lydia will be appearing in Kitchen Theatre's production of Rachel Lampert's new play PRECIOUS NONSENSE from October 16th through November 6th. Lydia appeared as "Corazon Aquino/Eleanor" in Yellow Brick Wall's production of Marisa Marquez' new play MS. ORIENTAL. Lydia appeared in 2016 Obie Grant Award-Winner Prospect Theater Company's ARCHETYPE, a series of original short musicals generated in Prospect's 10th Annual Musical Theater Writers' Lab. Lydia Gaston is enjoying being part of the ensemble of this beautiful show starring Hoon Lee as the King and Kelli O'Hara as Anna Leonowens. 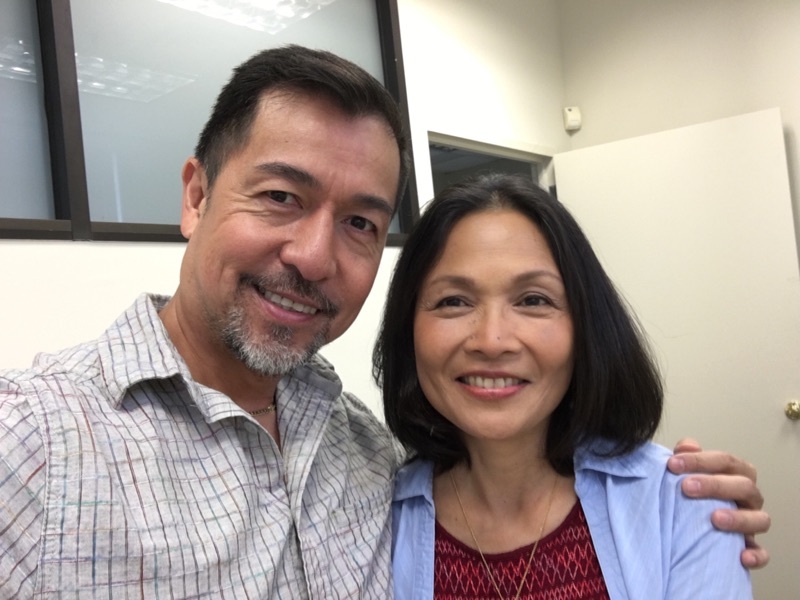 She is reunited with fellow gypsies Paul Nakauchi (the Krahlahome) and Marc Oka (Phra Alak) from the original Miss Saigon B'way cast. Lydia will be appearing in Kitchen Theatre Company's COUNT ME IN by Rachel Lampert in Ithaca, New York from January 14 through February 1.